It’s the most important meal of the day, so why are you spending your mornings eating over the sink on your rush to get ready for work? 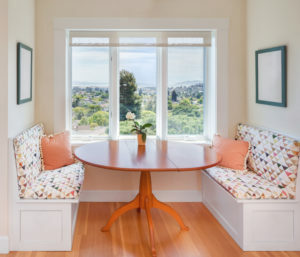 For many homeowners there’s a perfectly cozy and wonderful alternative in their home that they might not even be using: the breakfast nook. Many people have long ago converted their formal dining rooms into home offices, instead opting for kitchen bars or dropping a dining set close to the kitchen in their open floor plan homes. These options are ok if all the chaos of eating in a non-space doesn’t put you off your feed. For those who need a little more privacy, a quiet place to drink their morning coffee and contemplate life for a few minutes, the breakfast nook cannot be matched. It’s simple enough. Take a house, add a little space off of the kitchen that’s just big enough for a dining set. Upgrade with a killer view. Insert your table and chairs. Nothing could be easier. The word “nook” would imply a very informal space, or a dark and tight room. The word, certainly originally used to make the concept feel even more quant, is incredibly misleading. Although breakfast nooks are usually small, they’re not dark and they aren’t uncomfortable. They’re often the best seats in the house! Nooks are a flexible space that can do a lot. There’s no wrong way to nook, work with the space and view that you have and the rest will follow. You don’t even need a traditional dining set! Plenty of breakfast nooks d the rest will follow. You don’t even need a traditional dining set! Plenty of breakfast nooks are outfitted with booths permanently affixed to the wall. Who needs beaches when you can have a view of the neighbor’s garden? Other contemporary nooks mix and match chairs and booths in order to get as much useful seating as possible in the small, but amazing space. Watching the sun rise over the morning head lines from your breakfast nook is an unmatched experience, even if your nook doesn’t have a dramatic overlook. 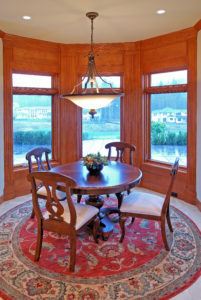 But some like to keep dining a formal activity, even in their nooks. These people aren’t nooking wrong, they’re just serious about their space. That’s ok, nooks are for everybody, casual or formal. In fact, some formal nooks manage to gush with luxury in scale. Here’s a Nook, There’s a Nook… Where’s Your Nook? If you’ve been dreaming about a breakfast nook, but haven’t been sure about where to start with hiring a building contractor or talking to a banker, today is your lucky day. All you need to do to put your breakfast goals into motion is to contact us. 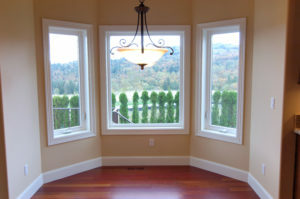 We can recommend contractors, bankers, interior designers and anyone else you may need to help you with your project. Since these pros have already been vetted and tested, you know they’ve got to be good!